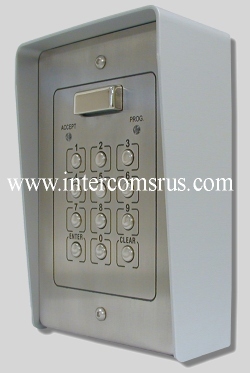 The Videx VX800 NS is a FLUSH Mounted 2 code, 2 relay stand alone digital keypad, it has a stainless steel keypad and comes with a FLUSH housing so that the unit can be set into a wall for greater vandal resistance. All you need to add is a 12V AC or DC power supply and choice of lock release or magnet. 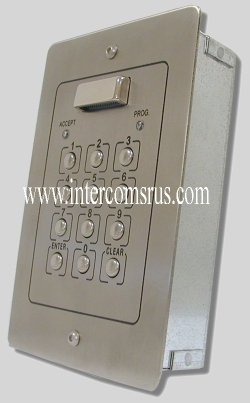 The Videx VX800 NS is a Surface Mounted 2 code, 2 relay stand alone digital keypad, it has a stainless steel keypad and comes with an aluminium surface housing giving protection from the elements when fitted externally. All you need to add is a 12V AC or DC power supply and choice of lock release or magnet.